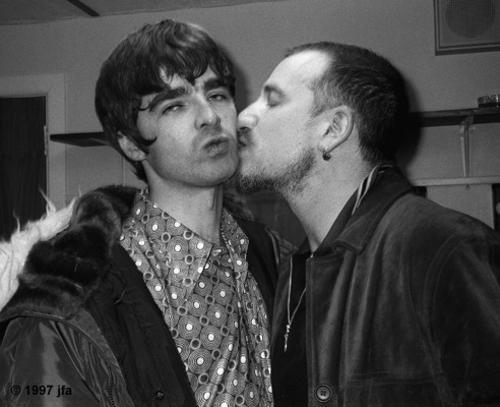 This infamous man kiss between Liam Gallagher and Bono happened on March 23, 1996 at an Oasis “Be Here Now” tour stop at Dublin’s Point Depot Theater in Ireland. 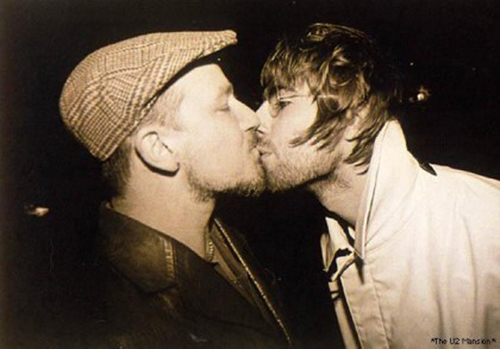 Although the kiss took place in Ireland, Bono and Gallagher “French” kissed with tongue. 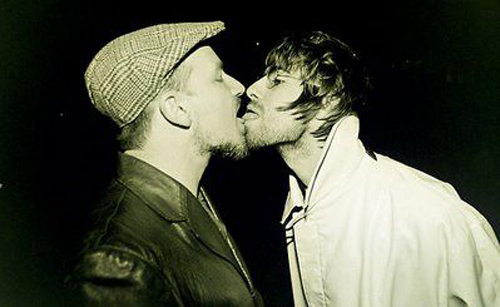 Despite this kiss, Gallagher has made quite a few swipes at Bono. Oooooh, that makes me so jealous! Is that as close as they got? i love the bromance section guys!!! some pics really makes me horny, thanks fellnumb! !